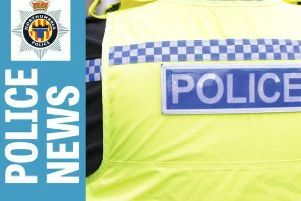 A stretch of the A1 in north Northumberland which was closed this morning after a two-vehicle collision, which left a man with life-threatening injuries, has reopened. The collision happened shortly after 8am near South Charlton, north of Alnwick. The seriously injured man was given blood at the scene and anaethetised before being flown to the RVI by the Great North Air Ambulance. A second man was taken to Wansbeck General Hospital with less serious injuries. Emergency services were called to the scene at 8.25am after the collision between a car and a van. The road between the Denwick and South Charlton turn-offs was shut with a diversion in place, but reopened at 2pm.